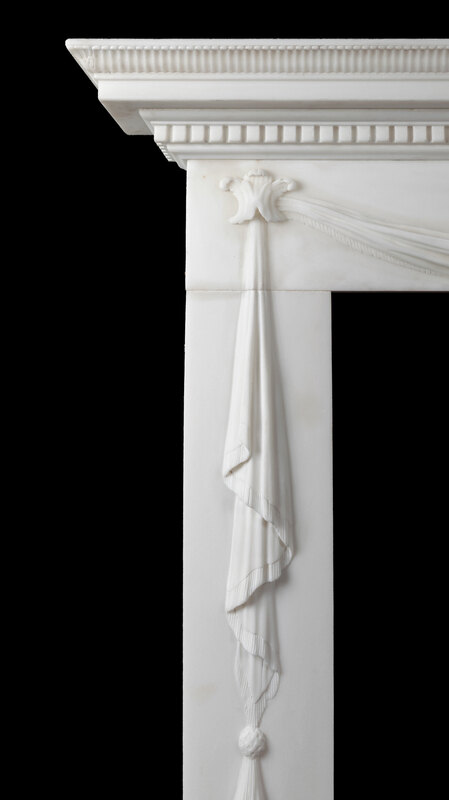 Beautifully hand carved from solid blocks of white statuary marble, with drapes across the frieze, over a centre patera and down each jamb. 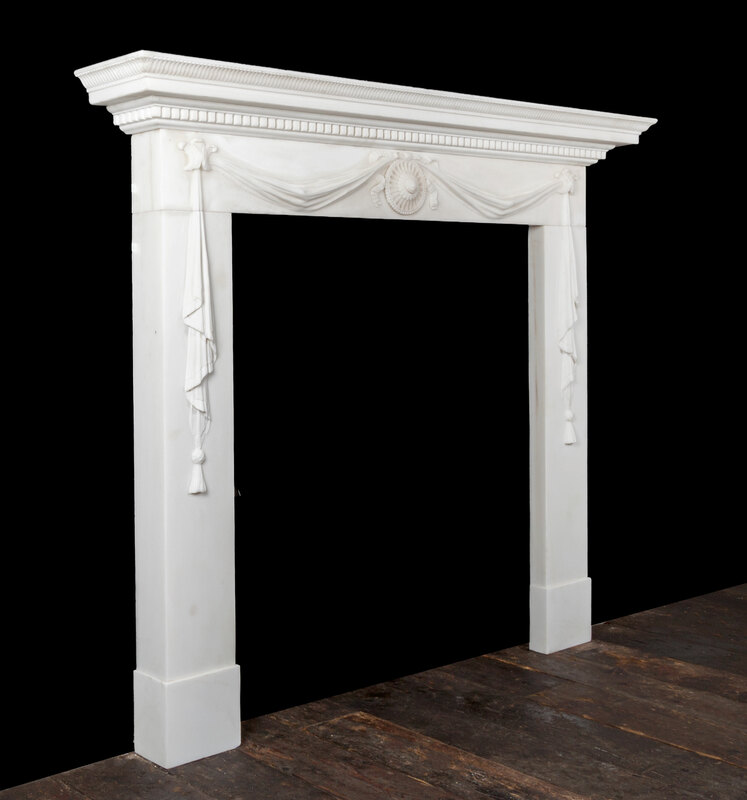 The top layer of the dental mantelpiece is decorated with fluting and delicately carved anthemions in each corner. 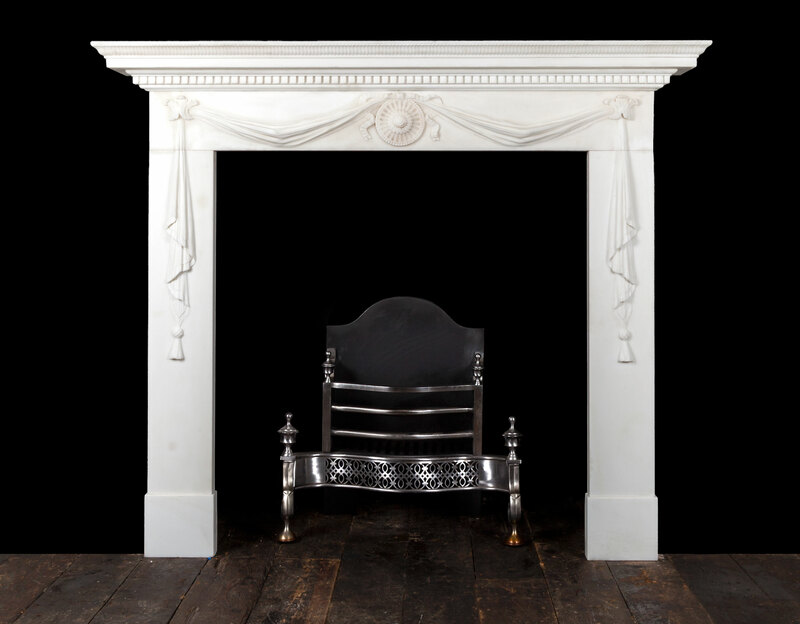 Fireplace in image has an antique waxed finish.